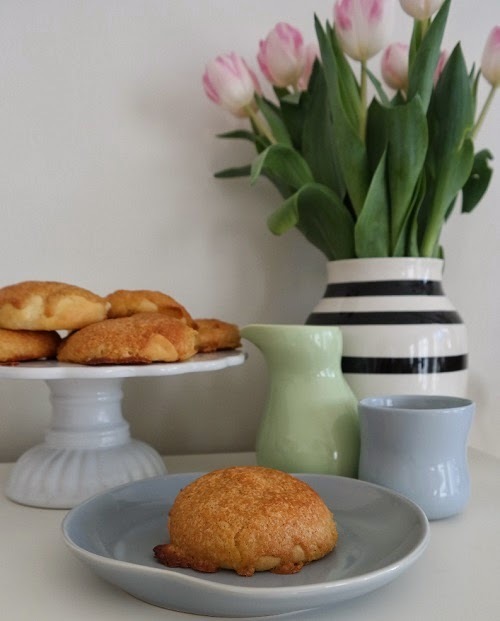 You have to try these buns. 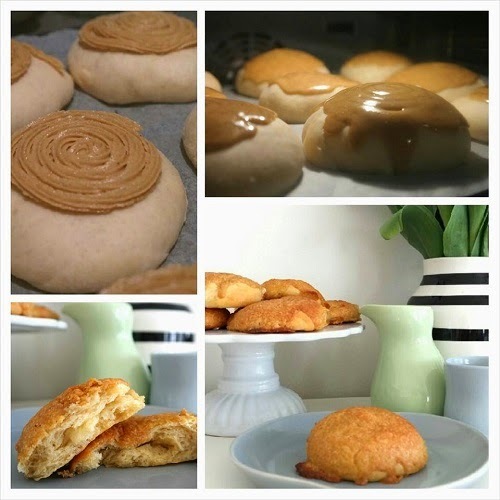 When I was living in South Korea I was introduced to these buns, and I got hooked. 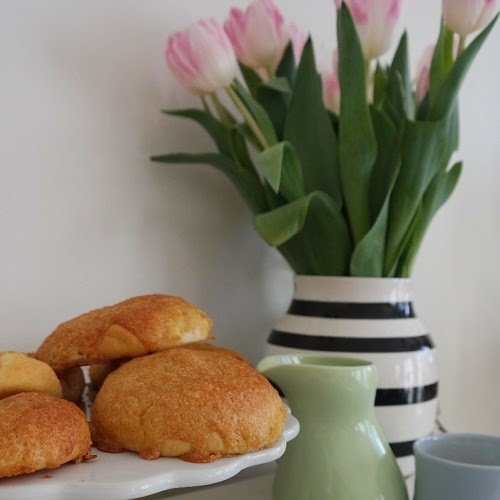 Soft buns filled with melted salty butter, and with a crunchy crust. You could get buns with other type of filling, but the butter filling was my favorite. We bought so many of these buns, so I decided to try to make them. Cover the dough and let it rise until double in size. Punch the dough and knead it for a few minutes. Divide the dough it into 18 parts. Flatten them a bit and fill with 10 g softened butter and close them up. Shape dough into slightly flat balls, and place on a baking paper lined baking tray, cover and let them rise until doubled in size. Let buns rise snug, preferably 1 hour. Make the topping while you wait. 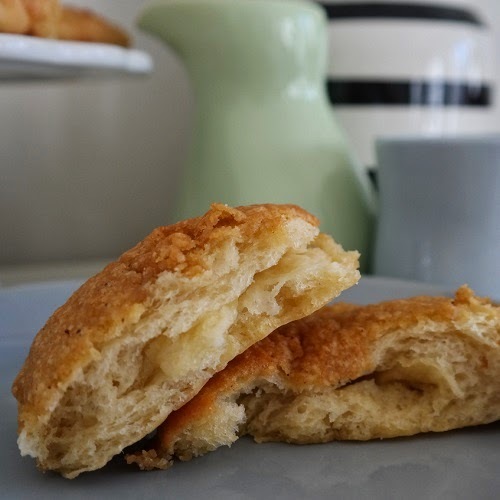 Beat butter and sugar white and add the eggs one by one, then add coffee and cinnamon, beat until everything is mixed and then add flour mix, you will get a slightly thicker cake batter. 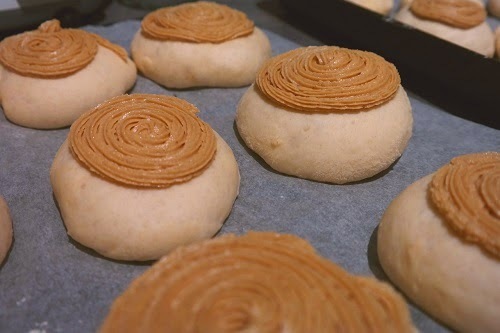 When the buns have risen, pipe the topping on top in a spiral from the center and out. Bake in a preheated oven on 200 C for about 10-15 minutes or untill golden. 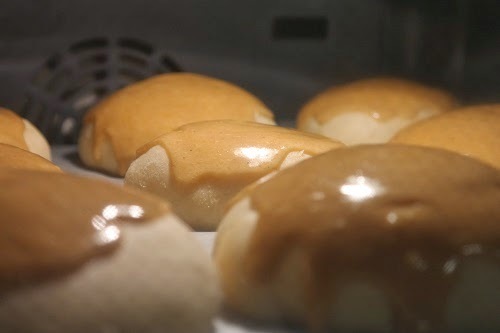 The topping will melt and cover most of the buns, giving them a slight crunch. These buns are best eaten warm.